Certified Pre-Owned (CPO): You’ve heard it mentioned by Twin Cities car dealerships before, but what does it actually mean? Learn the benefits of buying CPO Nissans, and find out how you can shop Minnesota’s biggest CPO inventory at Walser Nissan Wayzata! In order to classify as CPO, a vehicle must go through a strict inspection process, meeting certain criteria for mileage and features. The CPO Nissan vehicle must also be less than six years old from the in-service date and have fewer than 80,000 miles. Luxury for Less: Get a vehicle that looks and acts almost brand-new, but costs pennies in comparison. Peace of Mind: Feel confident knowing that the vehicle has already passed inspection and comes with an attached 7 year/100,000 mile limited warranty. Assistance When You Need It: Nissan’s available 24/7 roadside assistance has your back every single day. You’ll also receive car rental and towing reimbursements! Something to Listen To: SiriusXM® Satellite Radio with 3-month trial subscription. 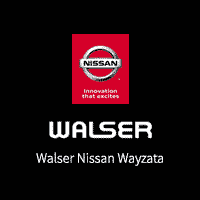 At Walser Nissan Wayzata, we’re known for having Minnesota’s biggest Nissan CPO inventory in the entire state of Minnesota- nearly 50 certified Nissan cars, trucks, and SUVs. Talk about impressive! Not sure if buying CPO is right for you? Stop by our dealership to talk to one of our friendly Nissan experts who will go above and beyond to help you find the perfect vehicle for your lifestyle and budget.